We are a family owned and operated company, serving Spring, The Woodlands, Houston, Katy and beyond. We specialize in residential and light commercial ac repair, heating, venting, duct design and air purification. Houston Admiral knows that it gets uncomfortably hot in Houston and we will always provide any Spring, TX HVAC service that you require at any time, day or night. We are qualified to work on all types of equipment. Our technicians are continually trained in the latest technologies for service, maintenance and repair. We drug screen our employees and dispatch certified/licensed technicians to every service or preventative maintenance call. Houston Admiral Air Conditioning and Heating would like to assist you with the important and demanding needs of your air conditioning and heating systems in the Greater Houston Area. We believe our employees are a direct reflection of our business; therefore, we will strive to employ the most qualified, certified professionals in the industry. Houston Admiral invites you to put our team to work for you! We believe success is not determined by how many customers we service, but rather by those who choose to repeatedly use and refer our services. Houston Admiral Professionals are more than prepared to demonstrate to you how we have earned our reputation for exceeding customer expectations for integrity, comfort, quality, and service. 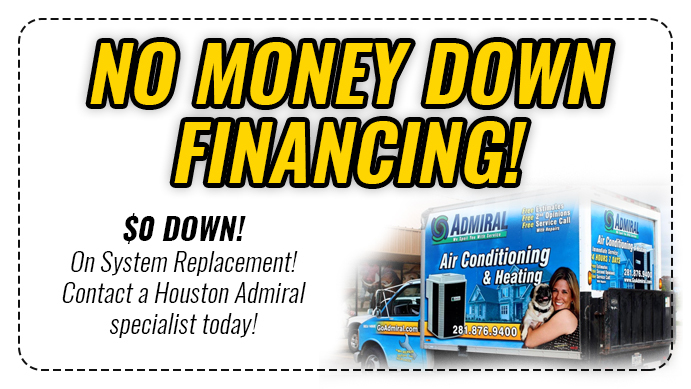 Let Houston Admiral Air Conditioning & Heating take care of all your HVAC needs in Spring, TX. 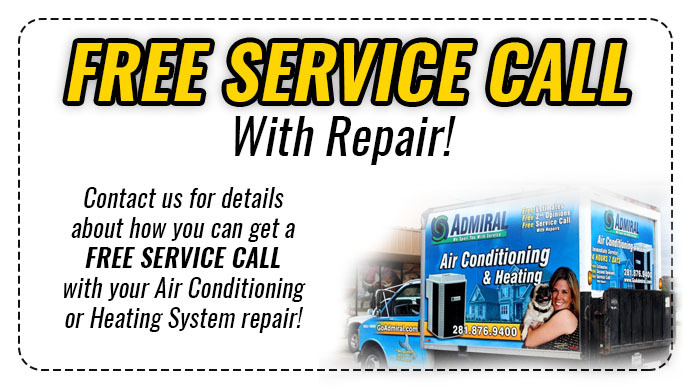 Have peace of mind knowing our AC repair and heating service company is family owned and operated. We not only want to be your first choice, but your ONLY choice for air conditioning & Heating in Houston, Spring, Katy, and the Woodlands! We look forward to answering and solving your every ac repair and heating service need with promptness and one-of-a-kind customer care.